This has been a difficult year for us horror fans. We’ve said goodbye to some extraordinary talents, including Wes Craven, Christopher Lee, Betsy Palmer, and Catherine E. Coulsan. 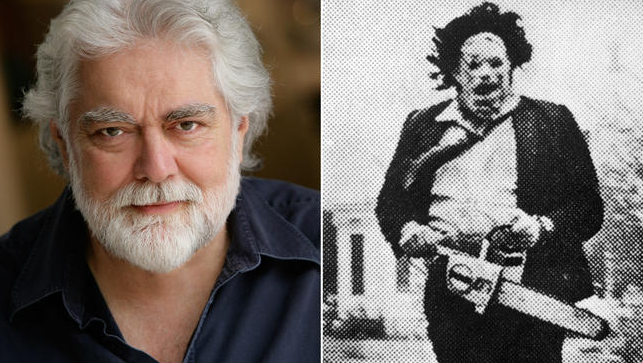 However, this most recent loss of the great Gunnar Hansen is personally felt very deeply by all of us here at Morbidly Beautiful. See, we reside in the great state of Texas, and we LOVE our horror here— especially the Texas Chainsaw Massacre (TCM) franchise. The films were shot outside of Austin, Texas, in the cities of Bastrop, Round Rock, and Leander. The fans here locally are fanatical about preserving the buildings and land where filming took place, and fans from all over regularly make pilgrimages to the various shooting locations (such as, the Grandparent’s home, the gas station, and the cemetery). TCM is one of the most successful horror franchises of all time, and Leatherface, originally portrayed by Gunnar Hansen, became a truly iconic figure in the world of horror and the film world in general. The recent 40th Anniversary edition blu ray/DVD combo package was so grand and coveted that it was nominated for a Saturn Award. Director Tobe Hooper earned a Critic’s Award in 1976 at the Avoriaz Fantastic Film Festival. Hansen, born in Reykjavik, Iceland, briefly lived in the Northeastern part of the United States in Maine. But he soon moved to Texas. Enjoying his formidable years in the Lone Star State, Hansen later became a Longhorn and attended The University of Texas at Austin. 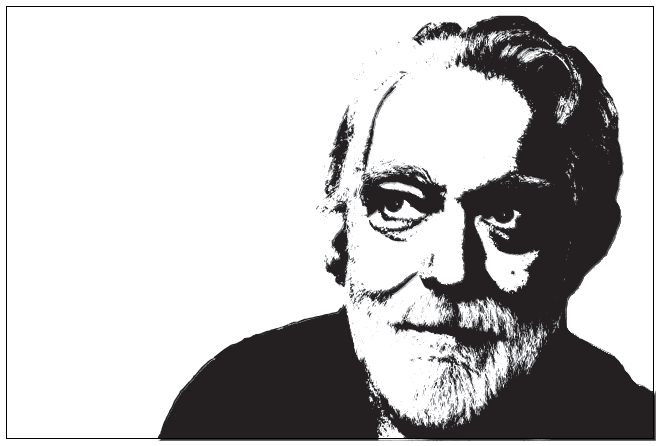 Gunnar majored in English, having an immediate and constant connection with the literary arts. Damn, I loved that maniac. He was simple, yes. But his one mode, and the mode he knew well, was kill. He knew no mercy, or empathy, or even that constant nagging emotion of love. Perhaps loyalty was felt by him…the Saw WAS family. But Leatherface was a unique, feared, and uncompromising villain. He was large, in charge, and wielded a gigantic chainsaw. If he didn’t get you, his cannibalistic horde of a family would. It simply terrified me when I was younger, and soon after became one of my all time favorite films. 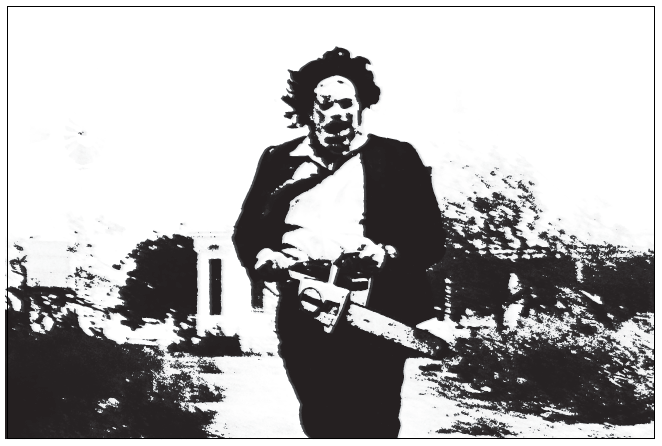 In turn, Leatherface became my ALL TIME favorite horror icon. This little, strange and violent production established in 1974 out of Texas, would soon become a defining moment in movie history. It would garner the attention of many, almost singlehandedly establishing a new type of horror—the slasher film. Giving us all nightmares was the brilliant Gunnar Hansen, with chainsaw in hand and a horrifying mask made of human flesh. According to everyone who knew Hansen, he was dramatically far removed from his movie counterpart. The real Hansen was a gentle giant…soft spoken, polite, and highly intelligent. After his star-making role in TCM, he chose to step away from acting and follow his true passion, pursing a writing career. He even rejected a part he was offered in the cult horror film The Hills Have Eyes. During this time, he wrote for magazines (and did some editing) and even wrote books. Fortunately, Hansen returned to acting in 1988, appearing in the horror spoof Hollywood Chainsaw Hookers. After that, he appeared in 20 more films. But he always considered acting a hobby and continued to write books, film scripts and documentary films (which he also directed). Still, millions knew and loved him as the maniacal member of a deeply dysfunctional family of killers. And Hansen embraced his roots, always showing tremendous love and appreciation for his many horror obsessed fans. I’m not exaggerating when I say that I watch TCM at least once a month. I have always wanted to meet Gunnar Hansen and let him know how much of an impact he made in my life. I wanted to shake his hand and tell him how much he scared me as a child, how he helped build the foundation for my lifelong obsession with the genre, how much I admire and respect him. As an aspiring genre filmmaker, he’s like a muse to me. He epitomizes the perfect killer in mind…silent, ruthless, disturbed, and entirely focused on just one goal. I’m seriously depressed today, mourning the tragic loss of a man I have never met and didn’t personally know. However, this was also a man who so greatly affected my existence. I always say horror saved my life. It sounds like such an extreme statement, but it’s genuinely how I feel. At a time when I felt completely alone without family or a support network to lean on, my friends were my beloved horror films. It was my escape from reality. I also tried to escape through chemicals, but horror was a positive escape…something I could throw myself into that wouldn’t hurt me or cause me more pain. As a I got older, I realized there was an entire horror community that would accept me and love me…a community of likeminded individuals who understood exactly how I felt and why the genre mattered so much. They didn’t judge. They didn’t question. They just embraced the things I loved with the same passion and die hard obsession I felt. We are a tight knit community, and we hold our heroes in very high regard. Our fans are more than loyal, we are almost rabid in our devotion. When one of our icons is taken from us, it is felt deeply. Our passions run deep, and it hurts just as deeply when a member of our ‘family’ passes. I currently attend film school. I’m often asked what kind of films I want to make, and I always enthusiastically answer horror films. Most people don’t understand, but that’s irrelevant to me. I love the genre, I appreciate the history of it all, and I seem to connect with every true horror fan I encounter. To quote Ana Lily Amirpour, the amazing director of A Girl Walks Home Alone At Night, “Fly your freak flag proud and clear!” I know I do, and I hope to let every single one of my heroes know (while I still have the chance), how much they meant to me. It could just possibly mean the world to them.